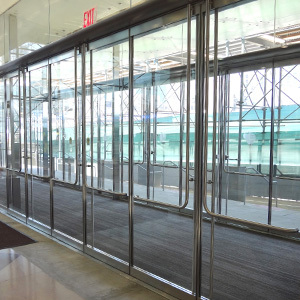 All-Glass Doors and Entrances will add a dramatic appearance to any entrance or create an open feeling in an office space. 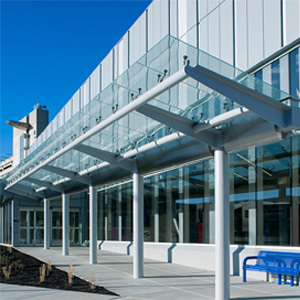 Custom engineered Glass Canopies will help accentuate your architectural design without sacrificing beauty and protection. Custom engineered to fit into any opening to create a striking entrance, wall or glass canopy for commercial buildings. 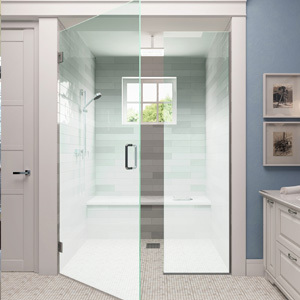 Our Shower Enclosures offer a complete package, pairing custom glass fabrication with shower door hardware combinations. Columbia Commercial Building Products, J.E. Berkowitz and Solar Seal are part of Consolidated Glass Holdings, Inc. family of companies, can offer you support with our wide-range of product offerings. 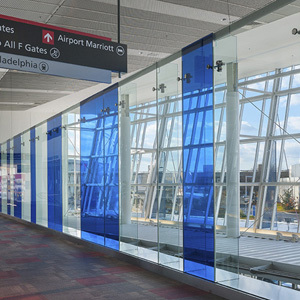 Our product line of Invisiwall® Glass Systems offers the beauty and visibility of glass in an attractive All-Glass Door and Entrance, Interior Office Space, Glass Canopy, Point-Supported Glass application, Shower Enclosure, Glass Balcony, and Handrail. Our experienced team will work with you from the start of your projection, through to completion. VISIT OUR INVISIWALL® HOME PAGE for more information including specifications, catalogs, and guidelines.